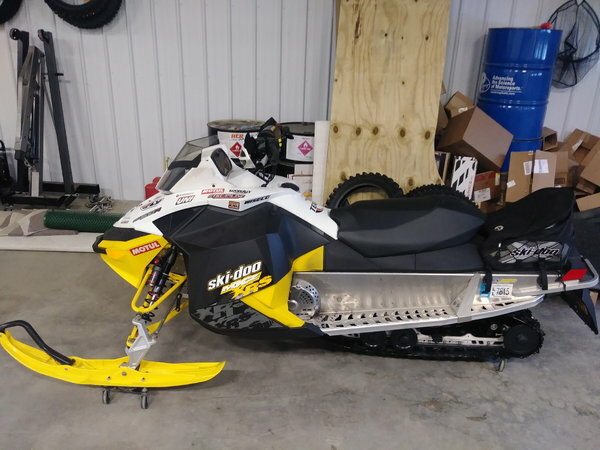 Top of the line race sled from ski doo, this sled only has 1350 miles on it and in very good condition. This sled cost over 12,000 to buy new. Has new drive belt, new skis, handgaurds, cargo bag, tool kit, and many other extras included. Title in hand, no trades.